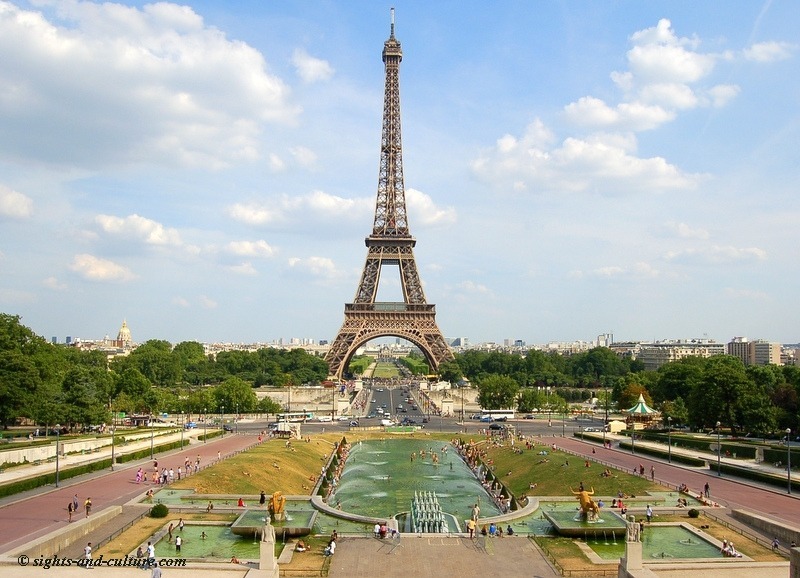 The Eiffel Tower was designed by Alexandre Gustave Eiffel on occasion of the fourth Paris World Exhibition in 1889, the “Exposition universelle”. The 324 meters high tower is a masterpiece of engineering in the 19th century and every year about 5,6 million people visit the landmark of Paris. You may get on top using one of the lifts or climb the 1650 stairs up to the upper platform, which offers stunning views of the city and surroundings up to a distance of 70 km (43 miles). Waiting at the lift can last some hours and be hard, especially in the hot season. However, for higher temperatures one has widgets, to spray the people lined up with cool water, even within the tower. The construction was begun on January 26, 1887 and completed on March 31, 1889, so it was erected within just 2 years and 2 months.